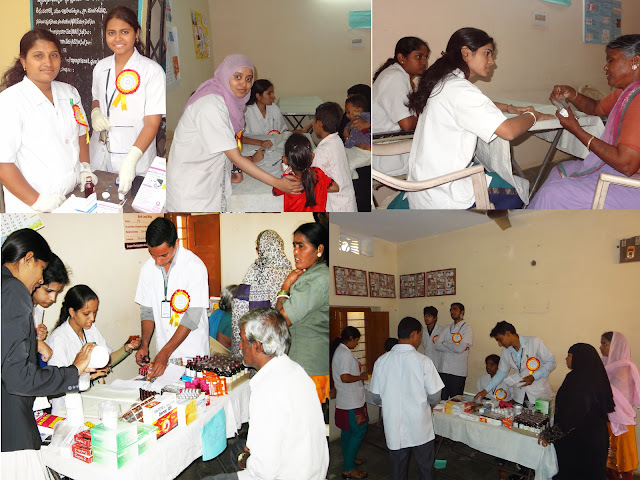 Hyderabad :For the 1st time in the history of Indian Pharm.D a Health camp was organised by Pharm.D 4th year students of Bharat Institute of Technolgy,Hyderabad in association with KIMS hospital in the outskirts of Hyderabad at mangalpally village near Ibrahimpatnam. The students conducted a health survey in the wards of Mangalpally GramPanchayat on July 19th. They visited each house to learn about the health status of the persons in the family and details of diseases, if any. The following days,students were split into groups and they prepared charts and leaflets about various health conditions. On july 29th the camp kick started at 10.30 am with inauguration by Dr.sreejith,KIMS. 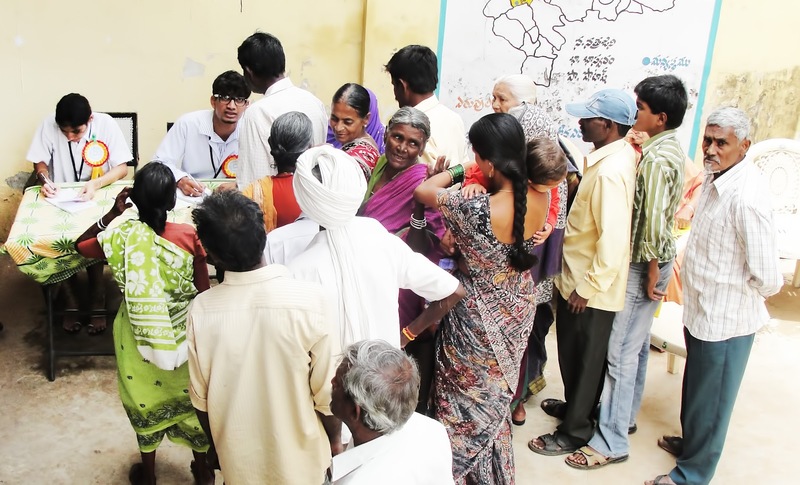 The camp attracted huge crowd.Many of them brought prescribed tablets and asked for Pharmacist’s opinion whereas some came along with their lab results, clinical documentation and seeked further advice. 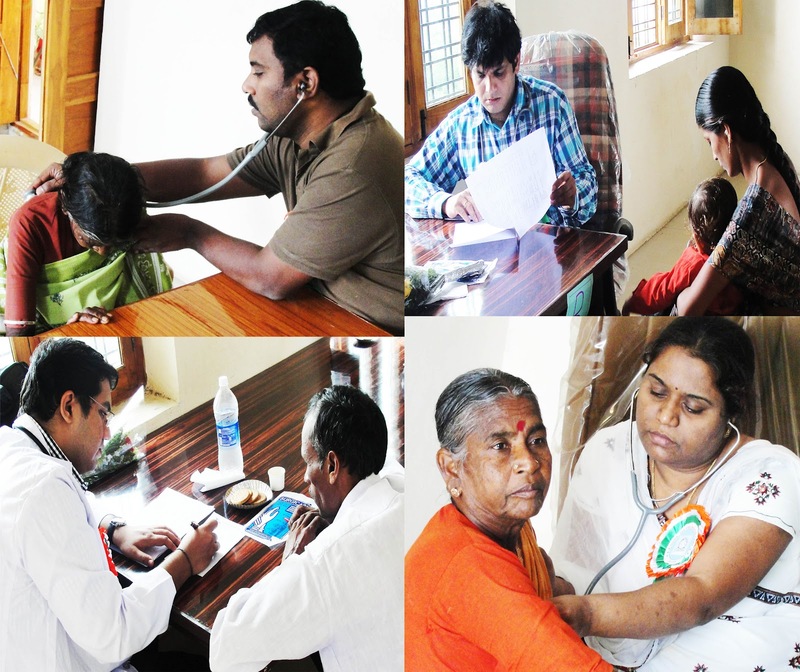 A variety of health complaints and medical histories were assessed through detailed consultations conducted by doctors. Around 200 people had their health checked, ailments diagnosed, free medicines dispensed along with proper counseling.The patients including adults, children and those suffering from mal-nutrition were provided with nutritional counseling.Students dispensed the medicines provided counseling about medication and various infectious diseases.The patients walked out of the camp with free medicines. “We know that we provided a great service to the people by working as a team. It was an amazing and eye-opening experience. 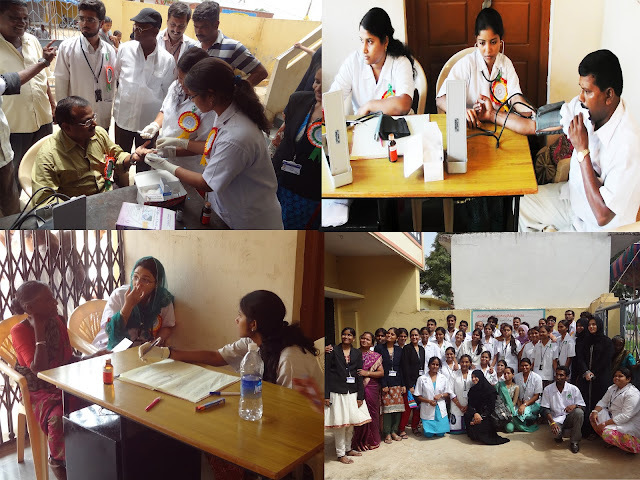 Regardless of the specific services provided, we managed to demonstrate a strong spiritual presence and attempted to provide unmatched compassion”said Pharm.D students. Lack of awareness about health, hygiene and sanitation among the villagers was the major issue that came up before the team which advised villagers about practices to be adopted as a preventive measure during the current rainy season.The villagers were advised to keep their area clean and use disinfectants to keep mosquitoes and insects away besides using safe water for a healthy living. Dr.sreejith,Dr.Hima kiran,Dr.krishna Deepak and Dr.Gowri from KIMS hospital participated and provided medical services to Patients.Ch.Venu Gopal Reddy garu (Chairman)and faculty members of BIT(pharmacy) also participated in the camp. Patients were very Happy (that’s the key factor)– students and doctors are happy too. Students said the camp enabled them to study the health needs of these people and learn communication and team -building skills.